a memorable experience for our customers to enjoy Christmas celebrations. At WestWaters, you can have informal catch-ups in our Café & Sports Bar, dine in our award winning a la carte Bistro or celebrate in one of our dedicated Function rooms. 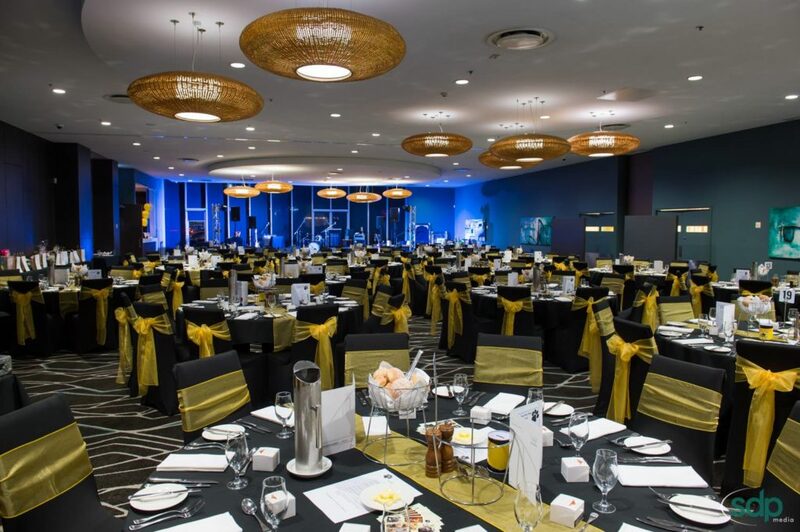 Whatever you chose you will receive the service expected from the western suburbs' premier entertainment venue. Our dedicated staff, delectable menus, state of the art AV, indoor & outdoor event spaces and the beautiful surroundings of Lake Caroline all come together to give you the ultimate venue for your Christmas celebrations. "Great afternoon and loved the high tea!" "A very big thank you to you and your staff as always so accommodating. We all had a great afternoon and loved the High Tea. All of the cakes were amazing and we will keep you in mind for any other events, professional and personal." "The food was great, lots of great compliments"
"The event went really well. The food was great, lots of great compliments about that and the service was also very good. Thanks again, you have been a pleasure to work with for the event and look forward to working with you and your team in the future." "In particular I was very happy with the food – I personally am not a fan of fish but all the comments have been good. The vegetarian meal was also delicious. We will do the same event again next year and I am sure we will be coming back to WestWaters." "The food was terrific, sufficient in quantity and very tasty. The wine supplied was exceptionally nice and the table set out and the Menu Cards produced all added to a first class event. I thank you also for exceeding to our several ‘special’ requests. Table service was of a very high standard. We will have no hesitation in recommending your establishment to anyone making inquiry and will certainly keep you in mind for our future functions." Enquire now to get our Christmas event information pack.